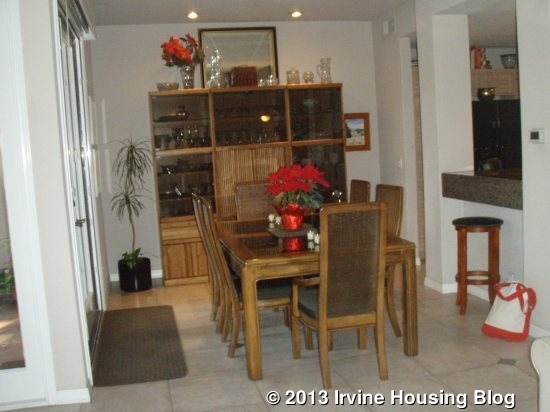 The story is intriguing in this three story, three bedroom, three bath condo in University Town Center. 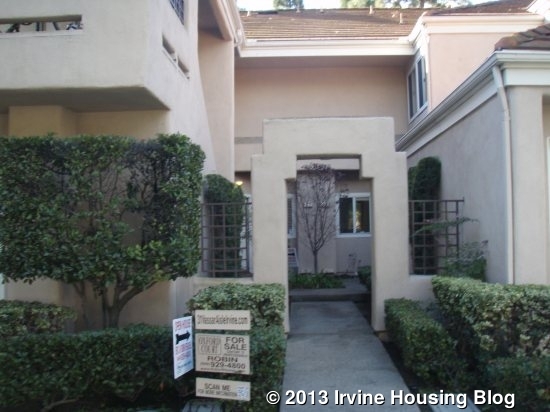 Billed as an expanded condo, it is tucked into a secluded area of the gated Oxford Court community across from UC Irvine. As you enter you get the feeling there are surprises ahead, which turns out to be true. From the main entry sweep of space on the first floor all the way up to the third floor hideaway, space has been thoughtfully used and elegantly detailed. 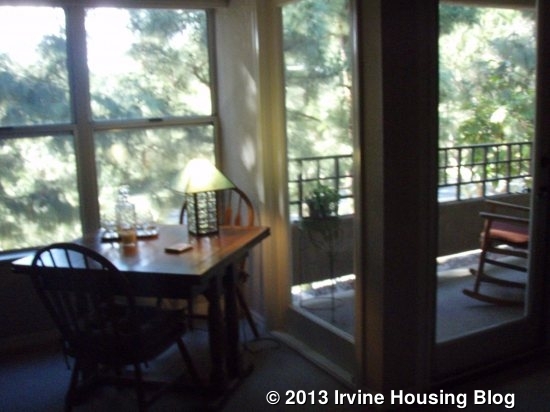 Significant Numbers: This three bedroom, 3 bath condo is 2,300 sq. ft. with HOA of $434 and $/sq. ft., $282. There is no Mello Roos. The home was built in 1988 and has been on the market 89 days. Stepping into the ceramic tile entry, there is a shuttered den/bedroom with bath to the left, along with a stairway to the upper levels. 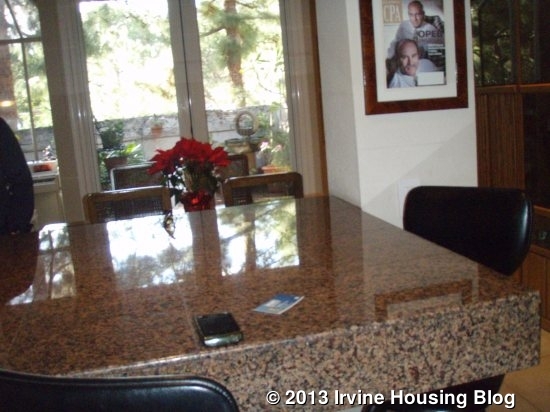 On the right the kitchen has been opened up and remodeled with granite counters and seating that offers a view of the rest of the main floor. 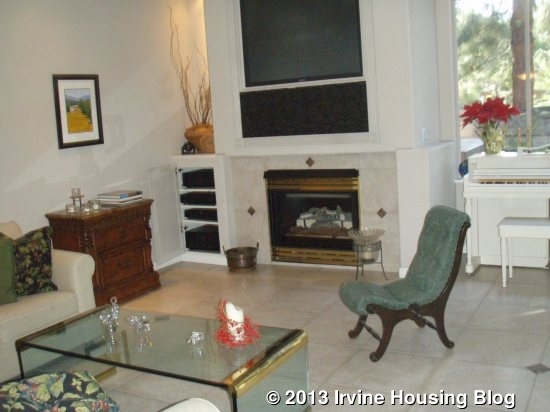 On the left there is a good sized living room with fireplace; on the right a formal dining room, and off of it French doors leading to a large patio with built in fountain and barbecue. The high ceilings and good sized windows fill the area with natural light and the overall floor plan lends itself to small parties, and dinners. There is a built-in media center and TV above the fireplace and surround sound throughout the three stories. 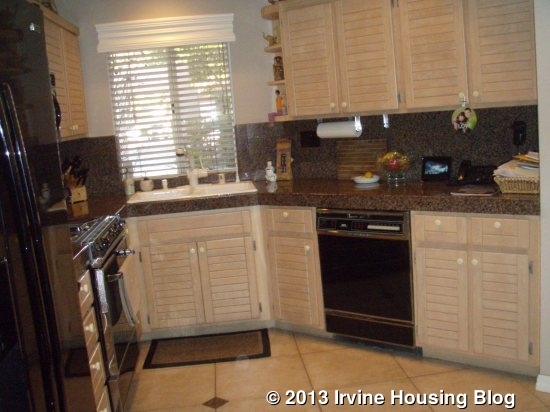 The kitchen has granite counters, oak cabinets, recessed lighting and a built-in wine bar/pantry. Upstairs there are two masters. 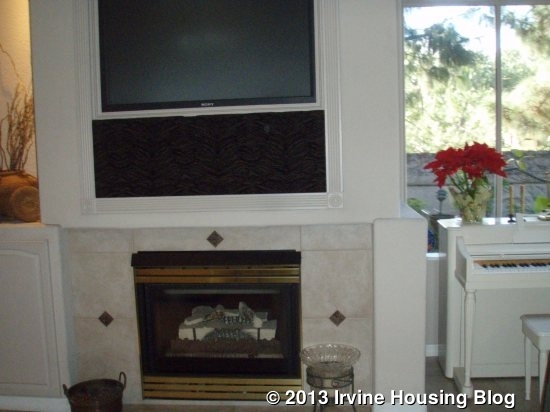 One master has a built-in in gas fireplace and French doors opening onto a view balcony. 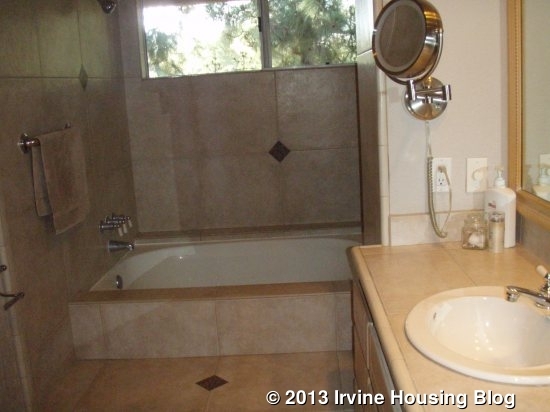 The remodeled master bath has dual vanities and an oval soaking tub. 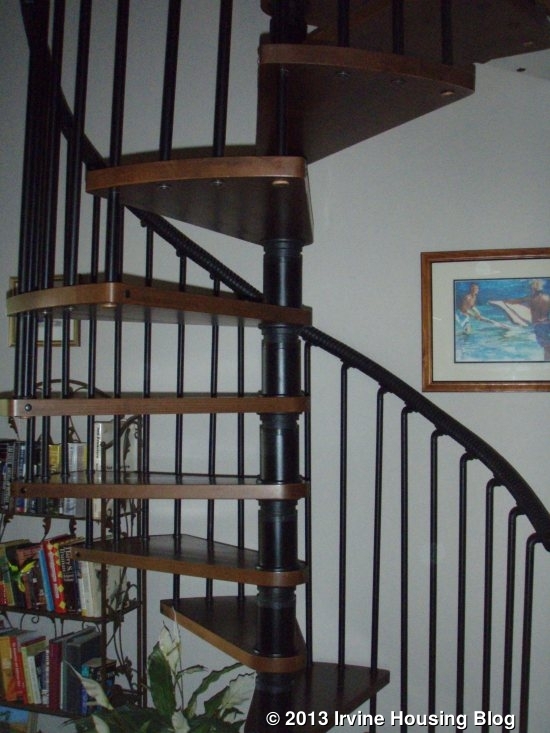 An Italian made spiral staircase leads to a third floor retreat. The second master bedroom has triple mirrored wardrobes and private bath. What will be considered? The overall size, expansion with a third floor, convenient location in a gated community, and price and upgrades will all be part of the discussion here. For the right buyer the home offers a lot of options and a comfortable setting. Who will be the next owners? 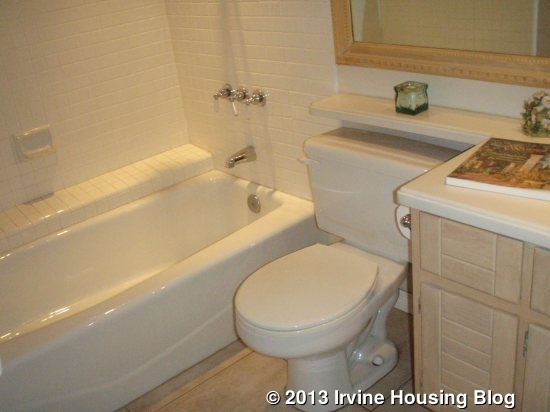 People working with UCI, or professional couples looking for a convenient Irvine base, might welcome the amount of space and detailing in this condo. 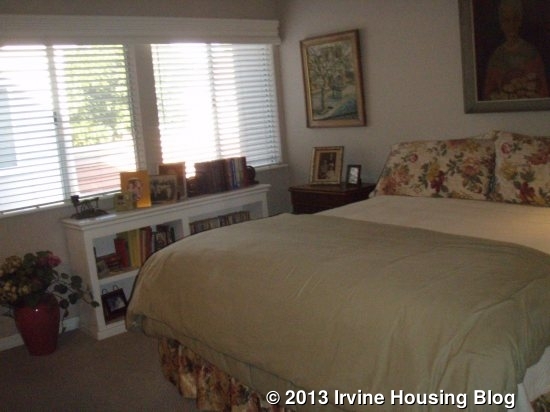 With three bedrooms, including two masters, the owner options are flexible. A family with an older member would value the downstairs bedroom. 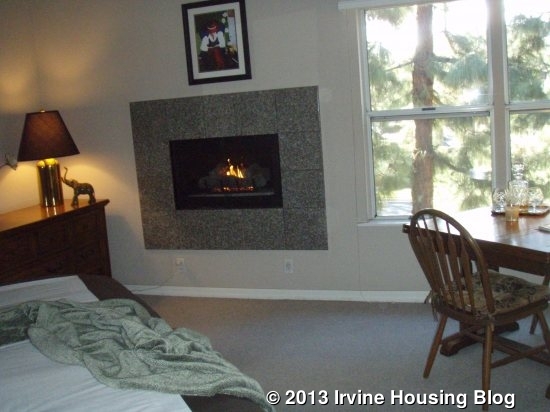 A couple with frequent out-of-town guests would appreciate the convenient location and extra bedroom downstairs. Recent listings: 7 Rocky, $775,000: 6 Whitewater, $630,000. Recent Sales: 30 Rainbow Falls sold for $610,000; 49 Rocky Knoll #37 sold for $635,000. 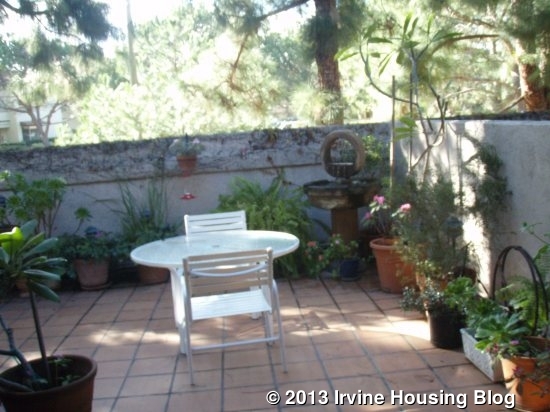 This entry was posted in Real Estate Analysis on January 15, 2013 by SMS.